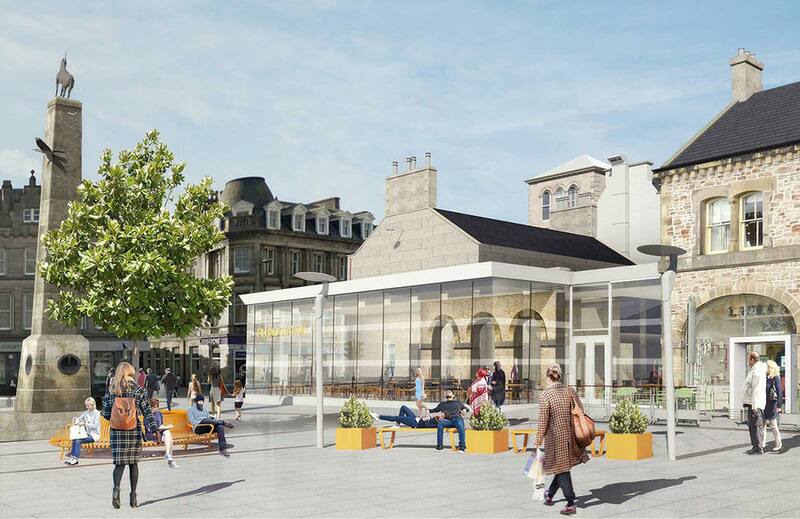 The proposals for Eastgate Shopping Centre, together with the Filling Station and the existing Listed Building will create an improved urban square focused around a variety of food and beverage units while providing a new civic destination to the city. The development of Falcon Square and Eastgate Shopping Centre is made up of multiple proposals; The Filling Station, New restaurant units for the Eastgate shopping centre, The Rooftop Bar and the Food Court. 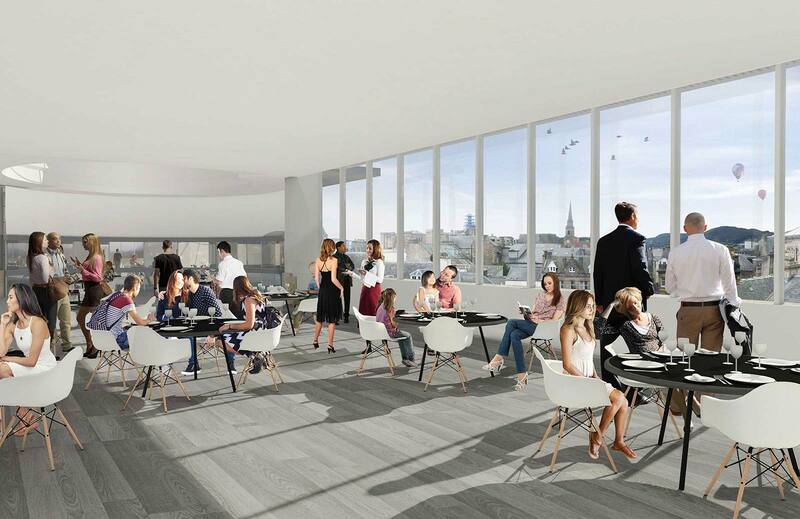 These proposals work together in order to create a new and improved experience of Falcon Square, based around a variety of food and beverage units. At the moment four new restaurant units and a kiosk facing Falcon square are starting on site in January 2019. 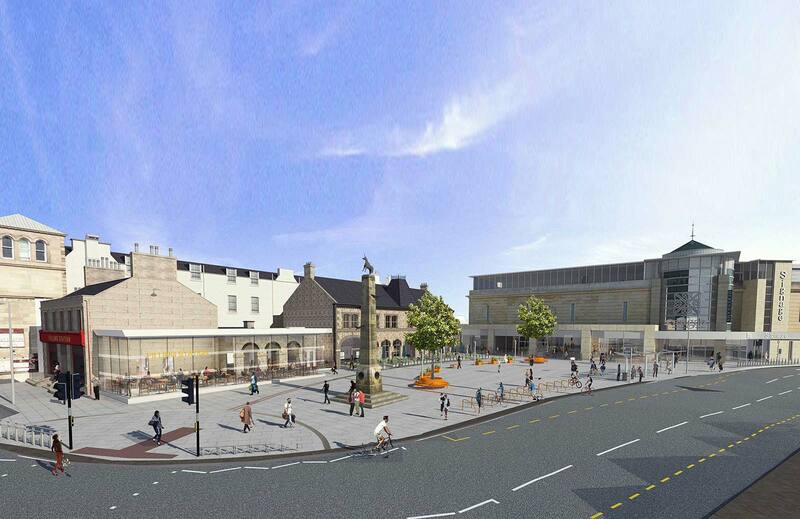 At present, Falcon Square is predominantly used as a route to Eastgate Shopping Centre, Inverness Station or the Filling Station and could benefit from increased activity. 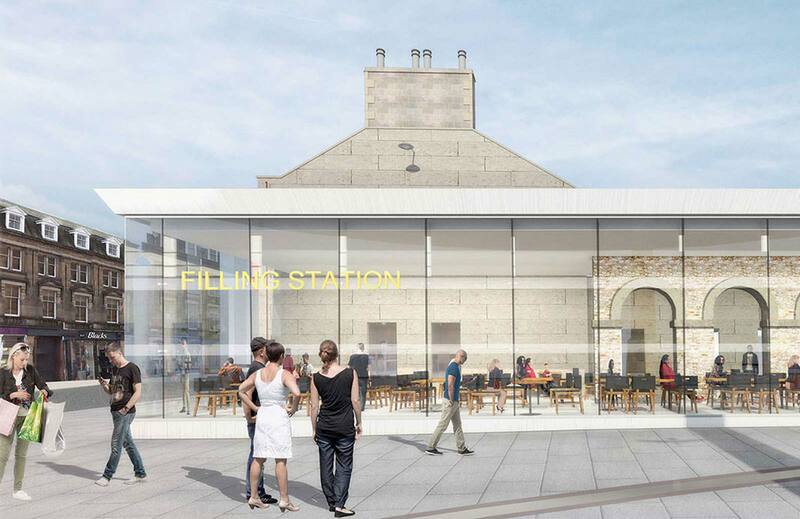 It is envisaged that the proposals will enhance Falcon Square as a destination, by providing an updated and improved site for eating out and socialising.